Want to Transform Your Trading? This includes HIGHLIGHTS for ILLUSTRATION purpose only. The full version has 123 Pages of Intense CHANGE Programming. Thank you for taking time for visiting and reading this page. You are here because you are either looking for a Positive Change or you’re ready for one. Acknowledging that you need support is a brave task. So whatever you do from here, be proud of yourself for taking a positive step forward. But, more importantly, make sure you do continue your development from here. Because you are here now, make sure to spend a few minutes browsing through this site. 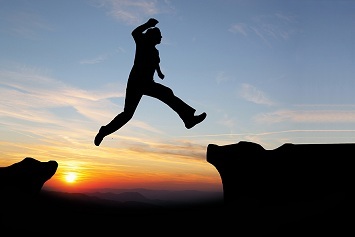 Hopefully, the self-coaching program can benefit you, sooner or later, in making your own trading BETTER. I just wanted to drop a line to let you know that I will be sending you the success story and feedback, though I'll be bit late. For Day 19/20/21/22, I needed to re-organize my knowledge and experience based on my belief and preference. This belief and preference is what I found out through this course. Because I didn't give a though to it before, my plan was so messy. After a week and half of work, I just completed most of them and finally moving on to Day 22 to put everything together in one page. It's a lot simpler now. This has been a great journey so far. I wanted to drop a line to make this as a promise to myself too. It's bit early to say but thanks for building such a great program. What is “30 Days Trading Transformation”? Just to be clear, the 30DTT is a PROGRAM and not just a book. There are exercises every day for 30 days. Pending on the task for that day, you may even have 4-5 exercises a day. There is so much coaching to do that I've created an "Answer" workbook to keep track of your progress. At the end of the program, you will emerge with clearer and stronger focus in what you want to gain from trading, and knowing how to get there. With a stronger conviction, you take BIGGER ACTION that works. The program has unlimited re-do value and I have intentionally designed all the tasks to be timeless in nature. This means you can do it again and again, once every 6 months, and can still learn something new each time. This eBook suits both new and seasoned traders, everyone is definitely going to gain something out of it! It isn't just a normal book, Alwin provide relevant tasks each day to help traders throughout the 30days, you will definitely going to feel there's a mentor beside you! Who should Benefit from this Program? Have you ever wondered why you are not making money from trading? Do you ever wonder how come other traders are more profitable than you are even though your market predictions have been pretty good? Do you have the any of following problems? Struggling with your Trading Hours? Constantly Searching for the Holy Grail? Never satisfied with Your Trading System? Always Jumping from one System to Another? Always have an excuse Why Trading Doesn't Work? If you have any of the above or similar problems, then the 30 Day Trading Transformation program is for you. 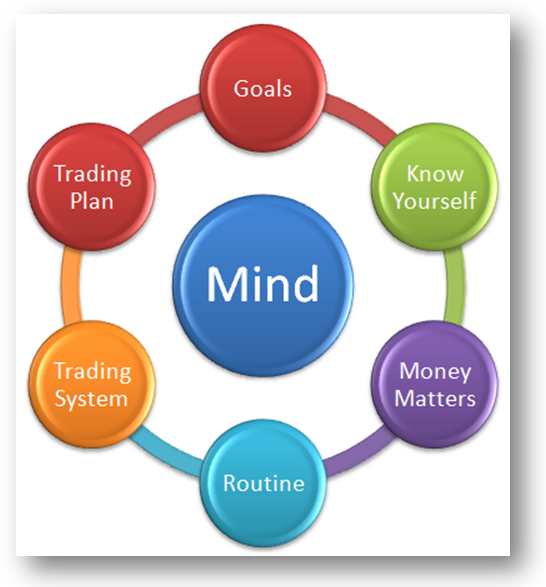 Understanding how your Self, Market and Trading Beliefs can INFLUENCE you and your trading results. Once you understand it, you learn to manage it. Making sense of Sub-Systems. It means you can decide how you want your overall trading system to work. Creating a Trading Plan where you can trade with CERTAINTY. That means, to trade with confidence and without hesitation. Be Your Own Trading Coach Today! When You Get Your Copy of 30DTT Today, It comes with a Transformation WorkBook. KEEP TRACK of Powerful Resources that you create in the next 30 Days!! Note that both the Program and Workbook are PDF and Word Doc format to be downloaded. The section where Alwin talks about trading system is what I wish I knew when I started trading! It could save me a lot of time, efforts and money! Alwin did not give a black box system in this eBook nor specific entries/exits rules, but he provide the correct framework with detail step by step guide to design the trading system that suits you the most. The section where Alwin help us to know ourselves is another great piece. We know it's important to know ourselves and leverage on our strength instead of weakness. Sun Tzu art of war or any other self development book will talk about this a lot but these books seldom give us constructive framework to work with. In 30DTT, Alwin gives us the examples, framework and tasks that is most related to trading to help us identify our strength and weakness. Knowing our strength and weakness alone is not enough, knowing the treats and opportunities that could make great impact is more important as Alwin gets more detailed in 30DTT. I believe this section is going to benefit both new and seasoned traders as when we grow older, gain more experience, or maybe when our circumstance change, we need to recognize our new strength and weakness as well as recognize the new opportunities in front of us! These are just a few things from the book, there are lot more tasks and information provided by Alwin in this book. This is the eBook that I believe could make a huge impact on traders from all levels and it will definitely going to give you more bang for your bucks! It's like hiring a mentor yet you can repeat it unlimited time with no extra fees! 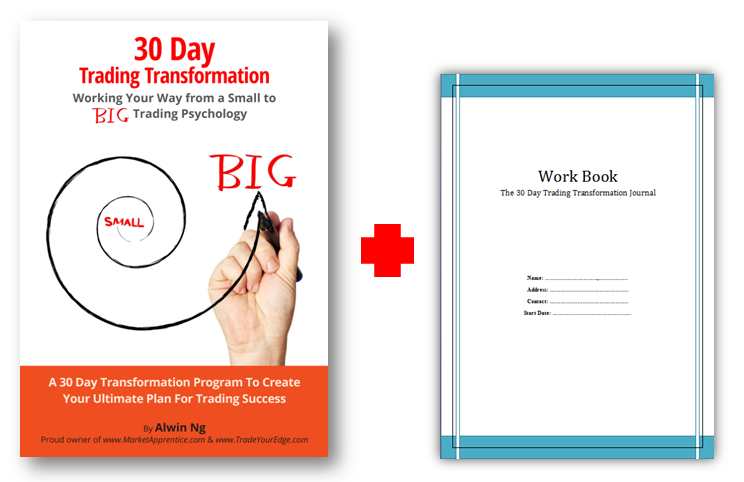 30 Day Trading Transformation is an extremely interesting program by Alwin. 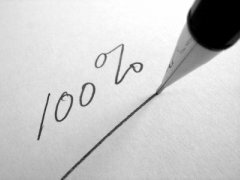 It takes a constructive approach and split your way to mastery to small and easily manageable tasks. By completing these tasks you will learn great deal about the subjects required for becoming a profitable and successful trader, and get great insight into yourself: your believes, goals and values. The action point that I like most is the one relating to asking questions under "Emotions during the trade" in page 113. This is something I will definitely incorporate in my trading plan. I like the structure of book in which the whole program is broken down into manageable small tasks of one task per day. This promotes structured and organised learning and allows for more focused learning. This will motivate readers to complete the program. Also, a task a day concept keeps the learning momentum going. Overall I like the flow of the book, starting from the building blocks (goals, beliefs) all the way to system development, and finally some basic trading psychology. Your instructions are clear and detailed enough for us to follow and perform the exercises. The examples given also help a lot. The whole book is written concisely, instead of just trying to fill the pages. This makes for an easy read and do not put us to sleep. 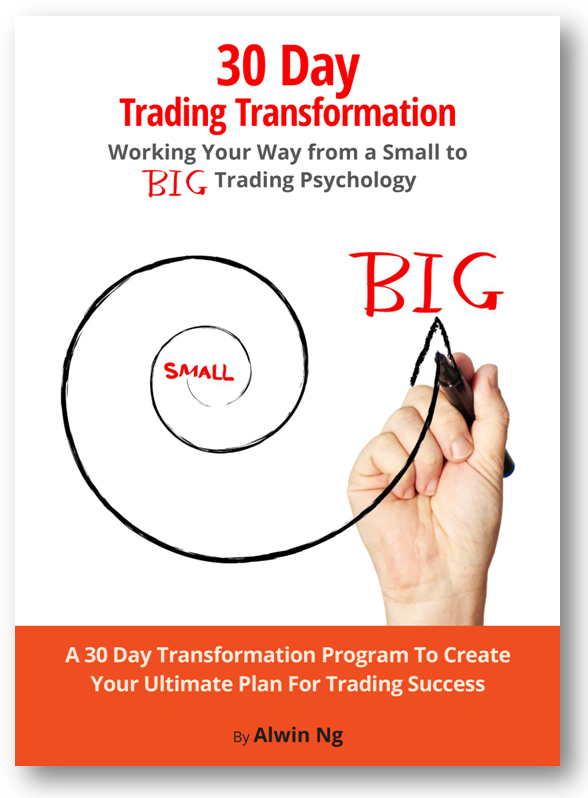 Whether you’re just beginning your trading career or whether you’ve been trading some time and want to improve your results, you’ll find 30 Day Trading Transformation invaluable. As an experienced trader and transformation coach, Alwin Ng will guide you through a series of daily tasks, helping you recognise your motivations for trading and developing your confidence, and which can be repeated regularly to make sure you stay at the top of your game. Alwin’s approach will help you examine your trading behavior in a new way, identifying both the strengths and weaknesses of a range of strategies. Written in an easy to read style, the daily tasks build into an invaluable resource to help take your trading performance to the next level. How is this different from normal coaching? 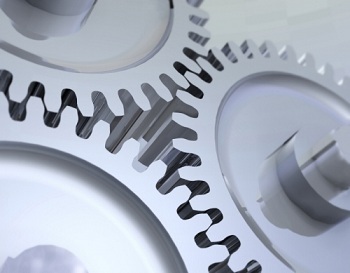 The program does NOT include any elements of technical trading. This program is an intensive program to learn about you and your beliefs around trading. What is the pre-requisite to this program? There is no pre-requisite. However, you will most definitely benefit from it if you have been trading the market for one year (or more). 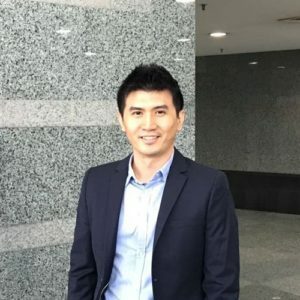 I'm not a Forex trader, can I benefit from this program too? Definitely yes. As mentioned, there is no technical trading involved and, hence, anyone who trades any financial instrument can benefit from this. How many times can I use this program? The program has timeless value. Because you will continue to develop your trading skills as you trade the market, your beliefs will develop too. Hence, I strongly recommend traders to repeat this program every 6-9 months. 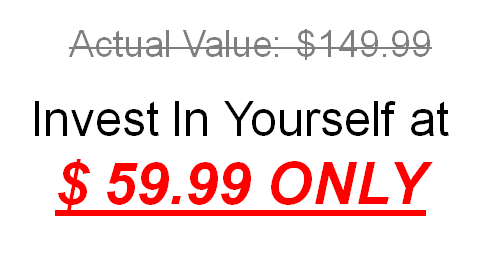 How is this different from a Self-Help Book? This is NOT a self-help book. In fact, you are required to commit to time and effort to work on yourself and your trading beliefs throughout the next 30 days.